Photo courtesy of Appliances Online. 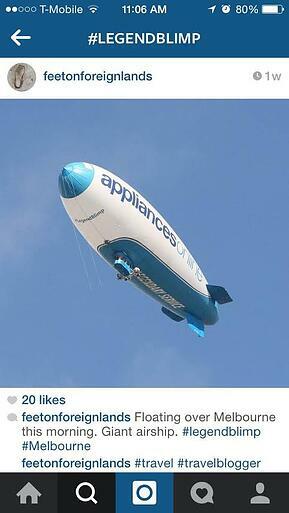 If you are in Australia, you may have seen the Appliances Online Legend Blimp cruising overhead. 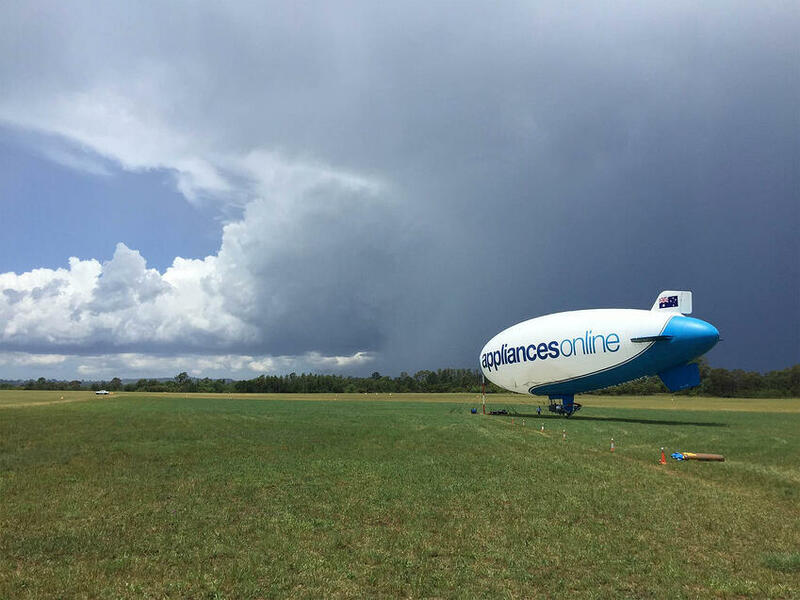 This eye-catching airship is commonly seen over Melbourne and Sydney and is currently the only blimp flying in the southern hemisphere. Standing at 39 metres long and 11 metres wide, the Legend Blimp is a spectacle to see in the sky above. Since its maiden voyage in October of 2014, the Legend Blimp has exploded on social media. Thousands of users have uploaded images of the blimp (using #LegendBlimp) and followed Appliances Online on Twitter and Instagram. Its ability to fly at slower speeds and lower altitudes allows the blimp to capture stunning aerial photos of the Australian scenery. As the owner and operator of the blimp, Van Wagner Aerial Media has an inside look inside the day-to-day operations of the airship. Recently, we had the opportunity to interview Legend Blimp pilot Mark Finney about his experience. How long have you been flying blimps? Fourteen years. I have worked in North America and Western Canada. All over Western Europe, from the UK, Poland, Greece, and Portugal and all places in between these four corners. What’s your favorite thing about being a blimp pilot? It's better than working in an office and the view is amazing! What do you enjoy most about flying the blimp? It's the first time I have worked in Australia and it is presenting new challenges as well as stunning scenery. The Opera House and Sydney Harbour are a beautiful sight. Do you have any fun or interesting experiences you would like to share about your time in Australia? Nothing out of the ordinary yet, other than the poisonous wildlife! Huntsman and Redback spiders, sharks and Brown snakes. You could say that most of the wildlife in Australia bites! Of course, apart from the Roos and Koalas! These are still very cute. 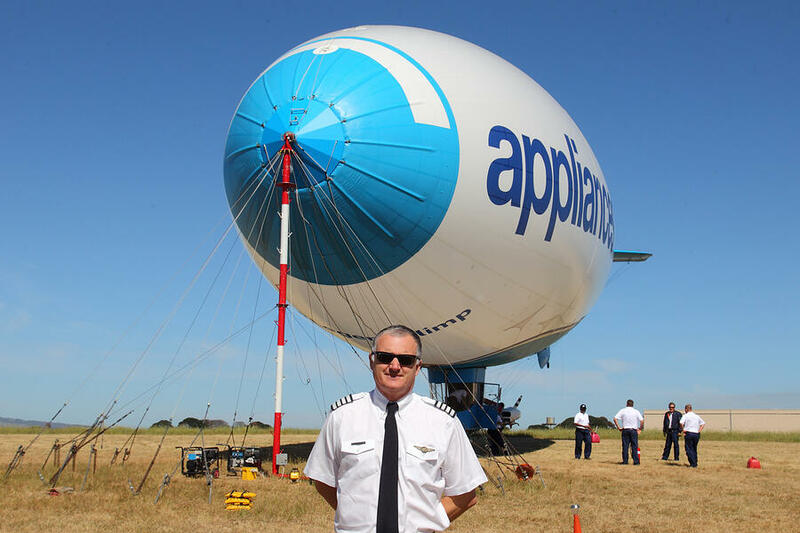 Pilot Mark Finney with the Legend Blimp. Photo courtesy of Appliances Online. Want To Know Where The Blimp Is Right Now? Click here for the Blimp Tracker!